 Anderson Property Management is an independent property management agency based in Dun Laoghaire, Co. Dublin. We provide complete property management services across commercial and residential property sectors. At Anderson Property Management we provide quality, cost effective and complete management across all property sectors. We are industry leaders delivering the highest standards of service at all times. We guarantee a quality service and only represent our clients not vested interests. We see ourselves as collaborators, working closely with you, the owners who know your development best, to create a bespoke property management solutions that best fits your development’s needs. We ensure a dedicated member of our team is available to help you with any issue that may arise in your development, 24 hours a day. Originally established in 1973 as MG Anderson Auctioneers, we made the move to full time property management in 2007 creating Anderson Property Management. Under the umbrella of the MG Anderson Group, you have the confidence of knowing that you are dealing with a firm whose parent company has been in operation since 1939. This means peace of mind that your property assets are being managed within a third generation Irish Company, who have been through all the economic highs and lows of over 75 years. You will also have the benefit of knowing that our professional credentials are backed by industry bodies who implement a strict code of conduct on members. When it comes to managing your development, you need to know that you have an experienced service provider to depend on. Anderson Property Management have been managing and maintaining developments across Leinster for nearly a decade and offer innovative, bespoke solutions across all aspects of property management. Including residential, commercial and tenancy management. I wanted to say thanks to all your team for organising the Easter Egg hunt, I think it was a great success and the kids had a ball. I just want to thank you and all the team for the great work done during the bad weather before Christmas keeping the ramps and roads around the complex, entrances and the underground car park as clear as possible. It was a great relief... Thanks again for helping us out, and once again for going above and beyond. As an apartment owner, resident and Director I am delighted to work with Anderson Property Management. Living in a large complex of 390 apartment having a professional company managing all the day to day maintenance, finance and accounts of our complex gives us great peace of mind. Since they took over the running of our development, our complex facilities have improved, customer service is excellent and our accounts are in the black. They work with the Directors, owners and residents to ensure that this a great place to lives and I would recommend their services to any other residential development Directors. Since employing Anderson Property Management we have noticed a great professionalism and a keen eye for detail. Our profits are up and our debtors are down. We have reduced waste and landscaping costs and have made great improvements to our development. Both Aubrey and Kieran are very polite, helpful and full of knowledge in regards to property management, insurance, cost reduction and accounts. I cannot recommend them highly enough. We manage your development for your appointed Management Board and for YOU. We will work closely with you to maintain your investment and your home. We act on your Board of Directors instructions and on any Owner and resident’s requests. We would be delighted to hear from you. Contact a member of the property management team on 01 214 0726 or mail us in the form below or at enquiry@anpm.ie.